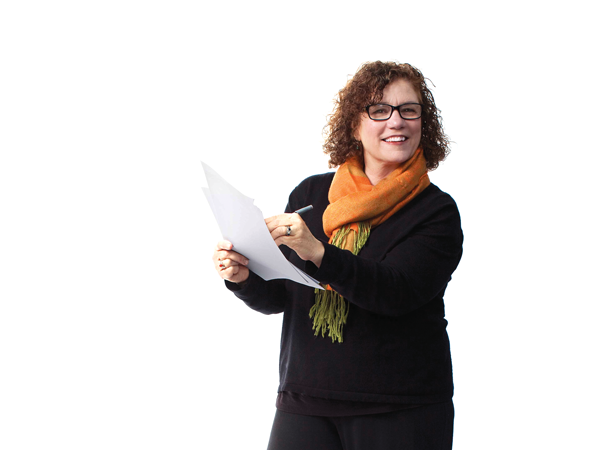 You may remember Constance Hale, author of Sin and Syntax: How to Craft Wicked Good Prose and Vex, Hex, Smash Smooch: Let Verbs Power Your Writing from this guest post she wrote for Writerland back in 2012. But she wasn’t always a language book writer. Constance started by writing poetry in college. Then she penned short stories. She also wrote monologues and performed them. Eventually, she ended up going into journalism because she wanted to make her living as a writer, not a teacher. She worked at newspapers and Wired Magazine. She worked at health care magazines and wrote freelance stories about her native Hawaii. “The whole grammar book thing was accidental,” she says. “I never set out to write about language. I ended up doing a book at Wired in 1996 (Wired Style), and that did really well. And I thought if I’m going to write a book about language, then I want to write my own book. And that was Sin and Syntax. That ended up as a backlist perennial.” She pitched other books to editors, but they wanted language books. And yet last fall she published two books about Hawaiian culture: The Natives are Restless: A San Francisco dance master takes hula into the twenty-first century and ‘Iwalani’s Tree, a colorful children’s book that takes place on the North Shore of O‘ahu. I talked to Constance about her decision to write the books she’s always wanted to write. MW: After so much success writing language books, what made you decide to write books about Hawaiian culture? CH: There was always that tension between where my heart wanted to take me and the practical necessity of making a living as a writer. Not being independently wealthy and not having a spouse who is a successful lawyer, I’ve always had to go where the work is. But I really wanted to get back to what I’m passionate about. MW: How did you fund the children’s book? CH: I looked into self-publishing the children’s book, but it was really expensive. It was going to cost about $11,000 to do it. And I couldn’t find the right illustrator. So I sent it to Chronicle Books. They said No. Then I sent it to this little children’s book publisher in Hawaii. The editor said, “I love it.” I thought, As long as I’m throwing caution to the wind and taking myself out of the mainstream, I may as well do it with two books and see if I can get some synergy going. I just thought to myself, this is going to be Connie’s grand adventure in alternative publishing. MW: How did you decide to go the indie route with the hula book? MW: What kind of press did you get? CH: We got a review in the Mercury News. There were three different features in the San Francisco Chronicle. Our PR guy got us on TV, radio, on KQED-Forum. We did this really great interview on KALW. But they failed on national print. That was a big disappointment. Our national radio publicists, though, booked a couple of great national spots and a ton of regional radio—a lot of NPR affiliates. They got us more than 20 spots on radio. It’s sobering how hard it is when you’re doing something outside the mainstream. And on top of everything else, Natives is a coffee table book. One thing I’ve learned is how rigid reviewers are about books published outside the traditional houses and books that are of a different genre. MW: How many copies have you sold so far? CH: We did a print run of 2,500, and we calculated if we sold that many, we’d be in the black. That’s actually low, as it turns out. If we were selling all the books directly, we’d get $40/book. But for the books we sell through Spark and Ingram, we get about $9 per book. We sold about 400 through Spark, and about 1,100 in direct sales, so close to 1,500 (total) in the first three months. We sold a lot of books at the (hula) show and through pre-orders. We haven’t made back the money yet, but we’ve only just gotten started. There were upsides to co-publishing with Spark (they don’t usually co-publish, but our deal was special). Since we were paying for it all, we were in the driver’s seat making all the choices. We had four-color photography, lots of it. We had nice, thick paper. We had beautiful purple endpapers. We had a lot of luscious design elements. But it was a lot of work—and money. We paid for the printing. We negotiated a contract—a lot of work. We decide how many books come to us from the printer and how many go to Spark. We’ve asked bookstores if they want to do it on consignment or through Spark. If we sell it on consignment, I arrive that night with a box of books and we give the bookstore 40%. MW: What would you do differently if you had to do it again? CH: I would be a little more cognizant of how inflexible the book industry is. We didn’t do advanced proofs, and I think that really hurt us when we were trying to get reviews. We made the decision to do this book quickly because we wanted to get it done by October in time for the (hula) show. We were able to produce this beautiful coffee table book way faster and way cheaper than any traditional publisher could, but book reviewers want galleys. I would budget a little more money at the outset because we ended up doing high quality all the way, which cost more money. The original estimates were low, but I was holding it up to a very very high standard. Your average author isn’t going to have it edited the way I did and have it copyedited twice. That was partly the perfectionist in me. MW: What about ‘Iwalani’s Tree? CH: Having this new, fresh, kids book set in Hawaii has been an easier sell. I got a tiny advance, $100, and I had to buy 500 copies of the book (at cost, which is less than $7/book), and I can sell it for $15. I thought it would take me years to sell 500 copies, but I’ve done it already. It’s cheaper (than The Natives are Restless), it’s beautiful, and everybody knows a kid who wants a book. Most children’s books in Hawaii sell at Costco and Kmart, and because my book is really lyrical, it’s not a Costco or Kmart book. So I have to crack the specialty stores and hotel bookstores. On the mainland, it’s been really really hard to get bookstores to order the book and get attention. It’s been easier for me to find ways to sell it. A friend of my mother just bought 15 copies. And there’s this whole other marketing strategy that I came up with. My hula class is in the position of having to raise a lot of money to fund a trip to Hawaii, so I said, “Do you want to sell my book? I’ll give it to you at cost, and you can sell it at full price.” They’re lining up all these places that they’re going to sell crafts. So they’ve already bought 150 books from me and they’re talking about selling more. MW: Would you self-publish again? CH: I would not do this again without someone, like Kumu Patrick (the dance master who is the subject of The Natives are Restless), who was really going to help me. In this case, I partnered with an organization that had the infrastructure to be the publisher. I don’t know how you sell a lot of books (on your own). Someone told me the average self-published book sells about 250 copies, and I think that’s about right. You don’t want to self-publish a book unless you really understand book marketing. It’s so much more complicated than you think. 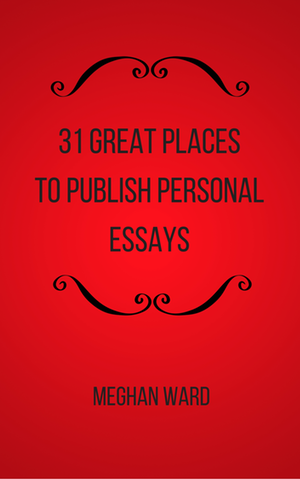 Even bookstores that are favorably disposed toward your book are unwilling to take risks. That’s been my learning curve. I thought the learning curve was going to be the design and production of the book. It was laborious but it wasn’t that hard; it wasn’t mysterious. The marketing thing has been a lot more mysterious. 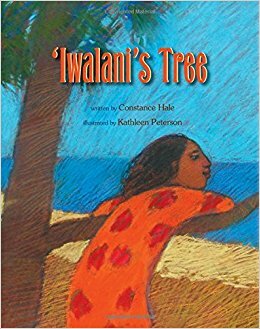 ‘Iwalani’s Tree is published regionally. In the town that I grew up in, there are two children’s stores, which sell books and clothing, and it took so much work to get them to stock the book. My mom stopped by. I stopped by… Here’s a book published in my hometown and I can’t get this clueless children’s bookstore to order it. On the other hand, I took it to another store—a high-end interior decorating store— and they bought 18 copies that day. Because it looked like an art book. 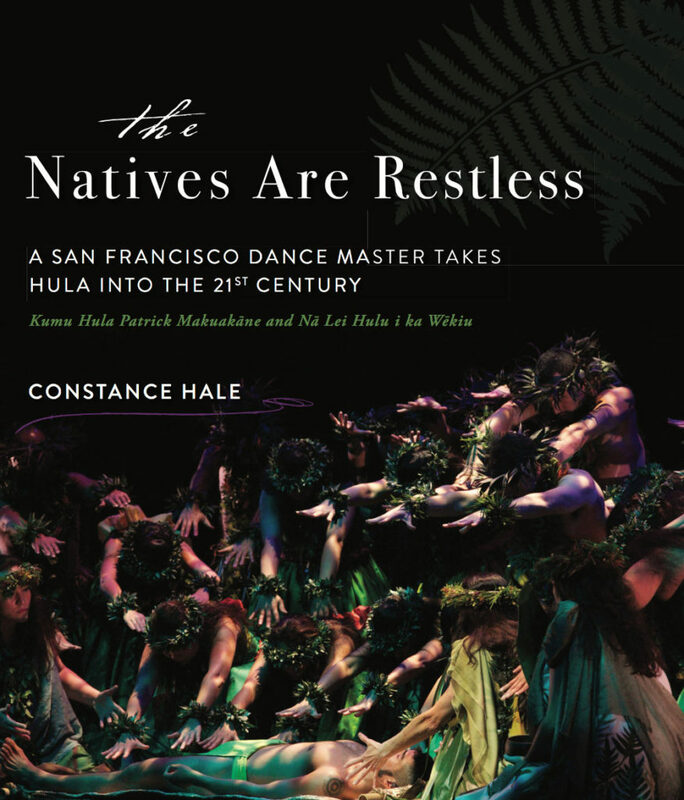 Editor’s Note: The Natives are Restless is a GORGEOUS coffee table book and my seven-year-old daughter loved Iwalani’s Tree. They are both perfect gifts! This is one fine piece of interview. I would love to participate in children book funds , plus I am interested in upcoming book related to Hawaiian culture.